You may have heard of TED or even watched some of their amazing videos, called TED talks. If you haven’t, I strongly suggest to watch a few around the web. 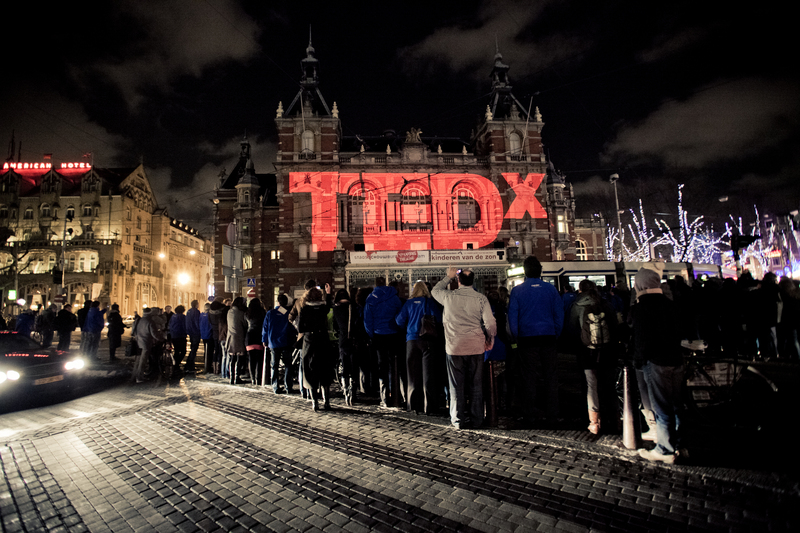 TED is a global set of conferences run by the private non-profit Sapling Foundation, under the slogan “Ideas Worth Spreading”. Tedx Portland is about Bringing Ideas Worth Spreading to the Rose City. And they created the Paint The Town TEDxPortland 6K Night Run Event. The night before the event, I came across the information online and very spontaneously bought two $20 tickets for hubby and I to participate in this night run. The ticket included a free red NIKE Tedx t-shirt, raffle tickets, and food and drink from the sponsors. The point was to “paint the town TED” by wearing red. Runners and walkers met at OMSI (Oregon Museum of Science and Industry) and the run began at 7:30pm after a short inaugural ceremony. It was a non-competitive run around the Portland Waterfront with a few surprises along the way. It couldn’t be a perfect Portland event without the unicycling bagpiping Darth Vader. After crossing the finish line the party festivities were located back at OMSI. We enjoyed delicious Food Truck Bunk Sandwiches, Rogue beer, Stumptown nitro cold brew and KIND bars. Red Bull was also being distributed but we opted out. This was my second ever organized running/walking event and I had a blast. I loved that it took place during sunset, I loved running around the waterfront, I loved the free goodies, and I loved the atmosphere. Everyone was in an incredible mood. I believe the event was a success and will keep happening annually, probably also improving. I am not really a runner, I rarely run more than a mile at a time and this was a good feeling of accomplishment for me after running the 3.7 miles, only needing to stop a few times to stretch my achilles which was acting out a bit. Have you ever participated in a running event? I don’t think they have one planned. They’ll probably do one next year again. Congrats Mani that is awesome. Imagine what could be possible?! I know, right? Thanks Sue!